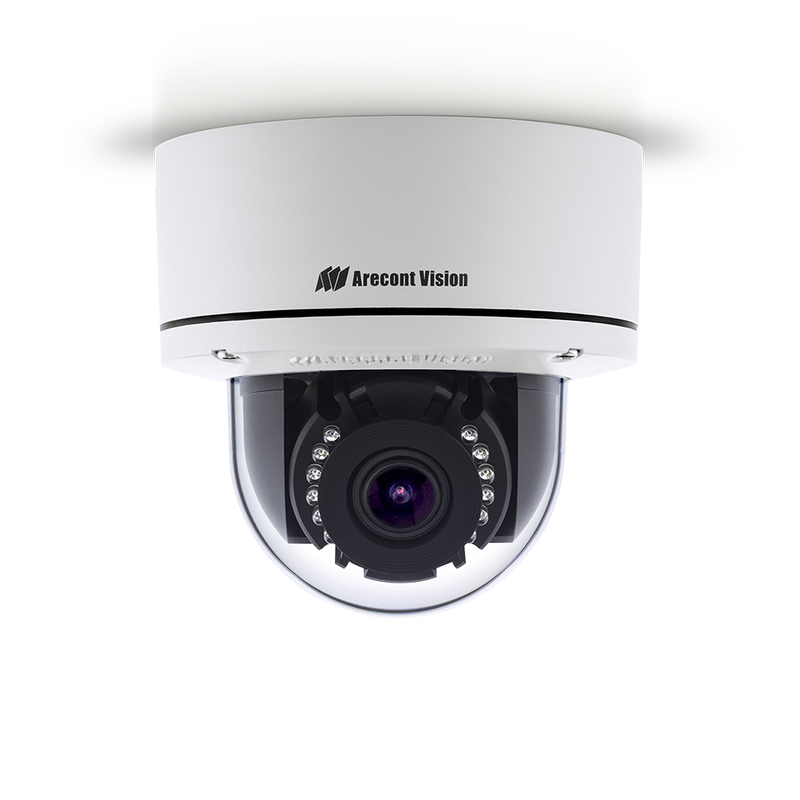 The Contera™ Outdoor Dome megapixel camera features 1080p and 5-megapixel (MP) resolution for optimum performance. The Contera Outdoor Dome combines a day/night mechanical IR cut filter with an integrated motorized remote focus and zoom precision iris (P-iris) lens for excellent, optimal image quality. Regardless of the time of day, the Contera Outdoor Dome is prepared for any lighting condition. For applications with poor lighting conditions, Enhanced WDR™ (wide dynamic range) at 120dB provides the best visual balance to shaded and bright light conditions. For clear color images in low-light, NightView™ offers strong low-light sensitivity for capturing details in extremely poor-lit scenes. Built-in Smart IR LED illumination automatically adjusts output in response to the distance of an object in view to prevent over-exposure when the object is very close to the camera. Arecont Vision was the first to bring H.264 to the mainstream market and recently developed SNAPstream™ (Smart Noise Adaptation and Processing) technology for reducing bandwidth without impacting image quality. Today we are proud to offer our next generation H.265 with SNAPstream+™ smart codec capable of delivering high quality video while saving over 50% of the data rate to reduce or prevent strain on the network. The SD card slot supports up to 256GB of storage capacity for convenient onboard storage. The camera’s power can be supplied via a Power-over-Ethernet (PoE - IEEE 802.3af) compliant network cable connection. The Contera Outdoor Dome is IP66 rated for both indoor and outdoor applications. All models feature an impact resistant cast-aluminum housing capable of withstanding the equivalent of 55 kg (120 lbs) of force. The Contera Outdoor Dome is ONVIF (Open Network Video Interface Forum) profile S and G compliant, providing interoperability between network video products regardless of manufacturer.